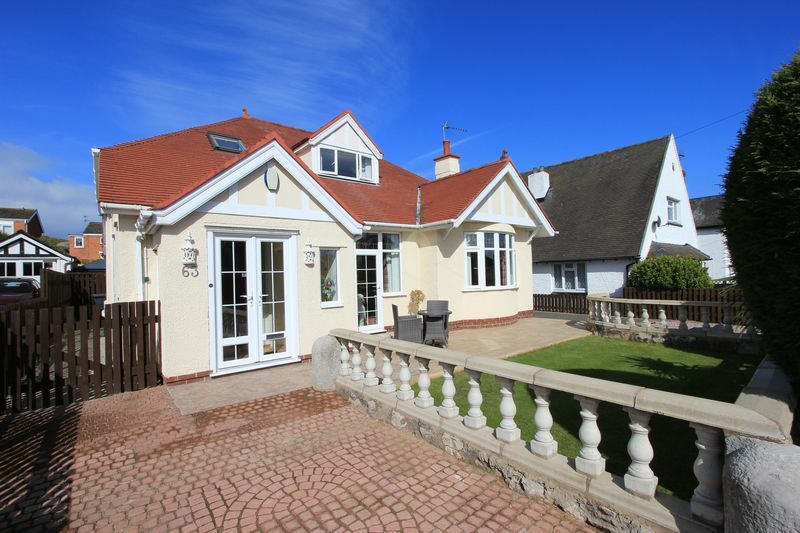 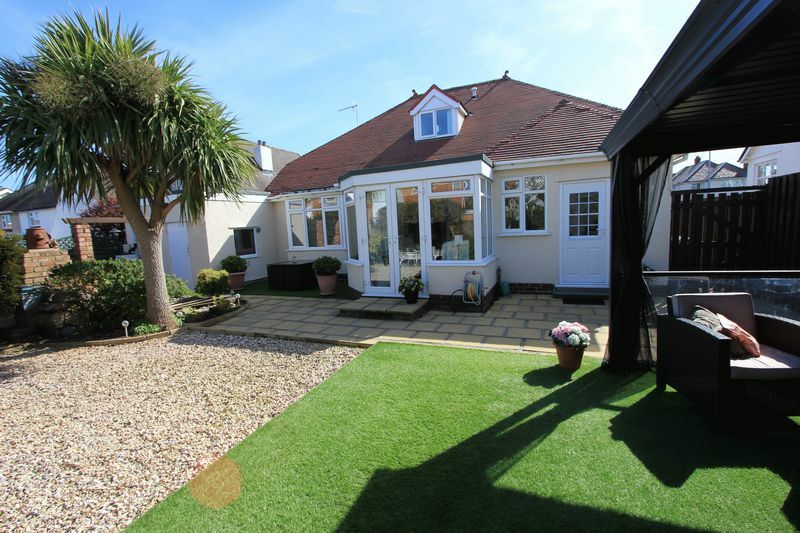 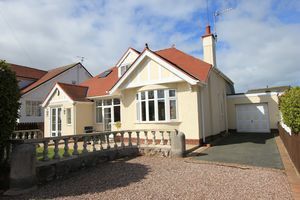 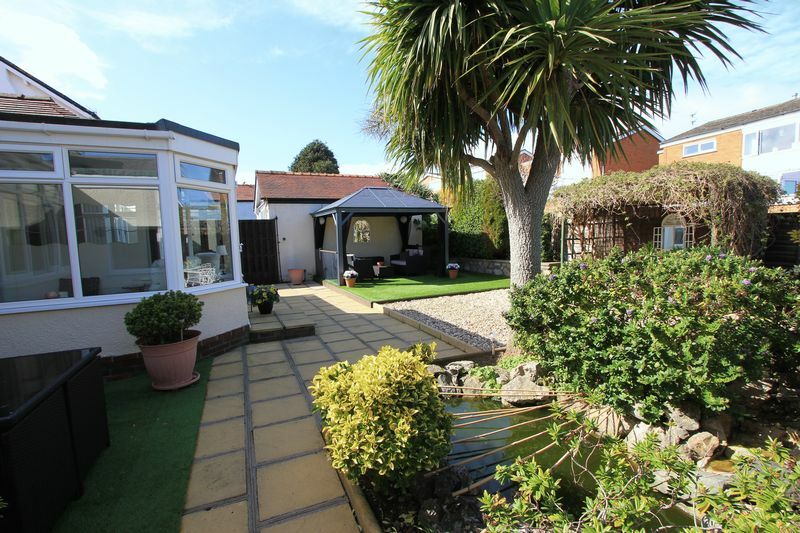 Situated close to the amenities of Penrhyn Bay and only a short walk from the promenade this superb three bedroom detached bungalow offers light and spacious accommodation. Well maintained and upgraded by the present owners the property is well worth viewing to appreciate the size and layout as not only does it have ample living space but beautifully landscaped gardens to the front and rear. 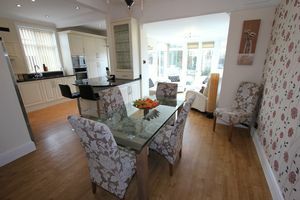 The accommodation on the ground floor comprises of porch, entrance hall with original leaded light windows, hallway, cloakroom, morning room with access onto a sun terrace and opening to the lounge, open plan living area with dining room, modern fitted kitchen and sunroom and a double bedroom with fitted wardrobes and ensuite shower room. 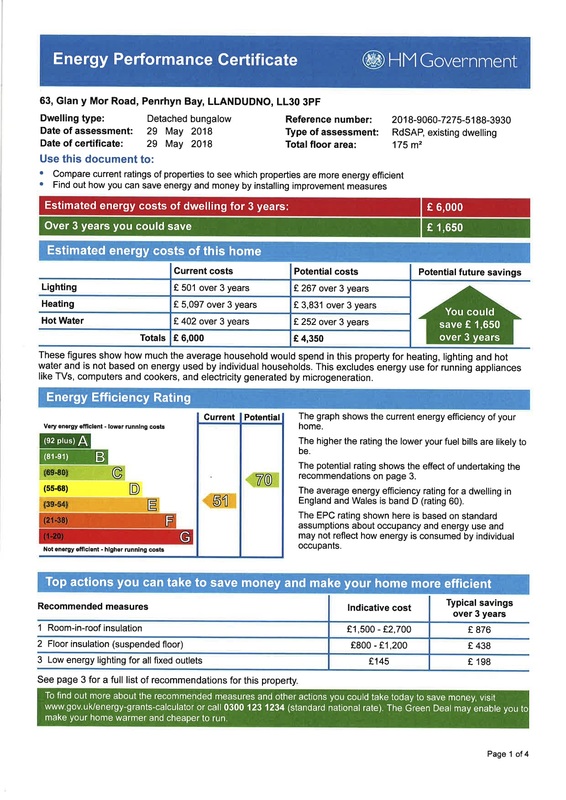 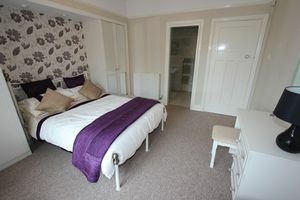 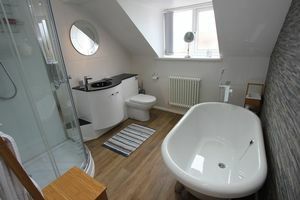 To the first floor there is an immaculate principle bedroom with dressing area, two walk in wardrobes and prestine bathroom and a third bedroom currently being used as a study. 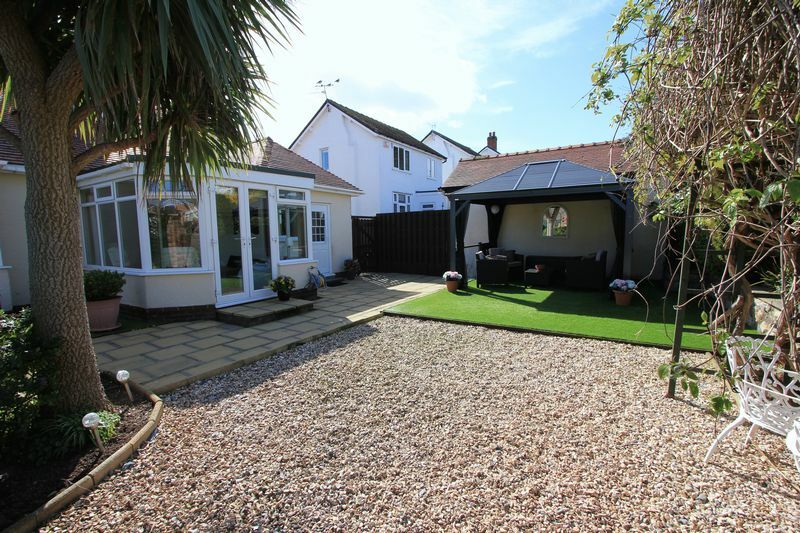 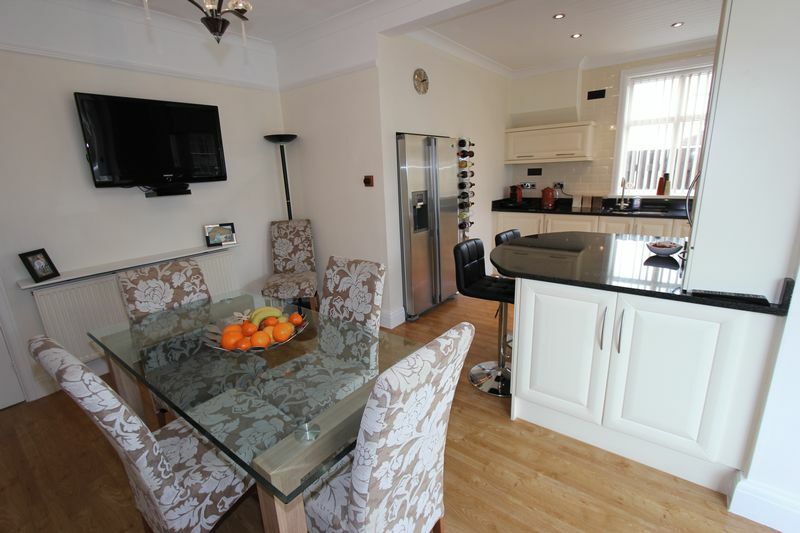 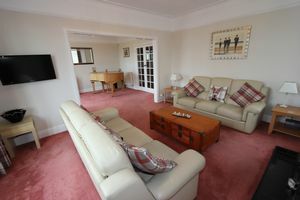 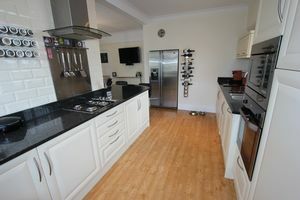 Outside to the front of the property there is ample off road parking, access to a garage and a sun terrace. The rear garden is landscaped with various seating areas, ornamental pond and a variety of well established plants and shrubs. 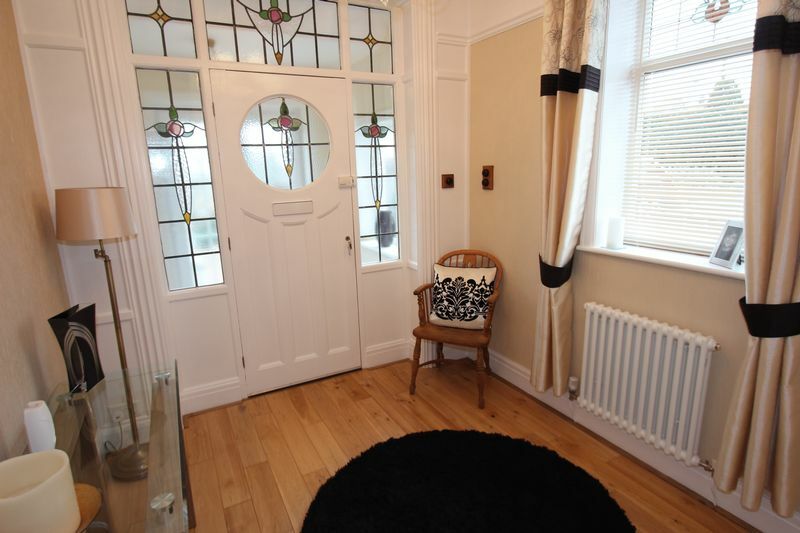 Timber framed single glazed leaded light windows to side of door and above, upvc double glazed window to side aspect, coved ceiling, picture rail, Victorian style radiator, store cupboard housing electrics, oak flooring. 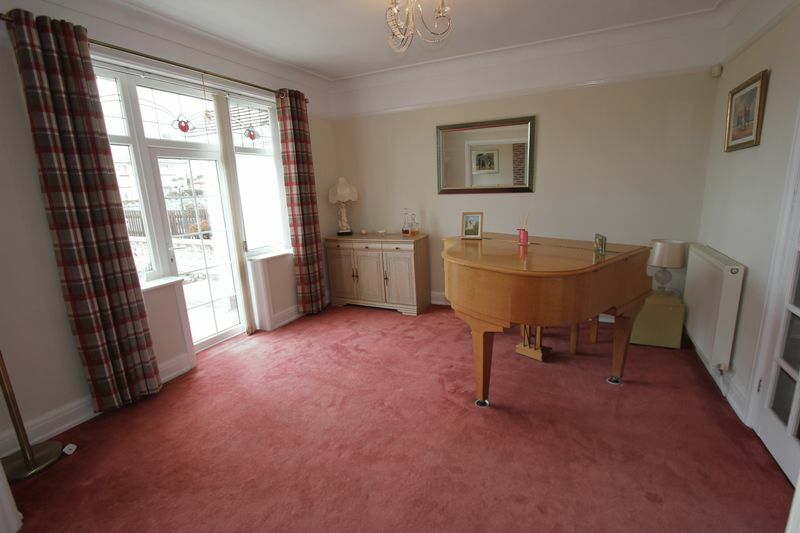 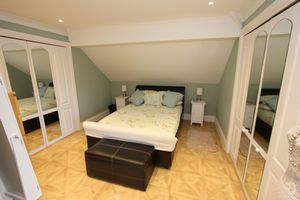 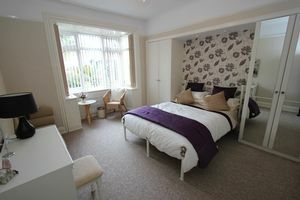 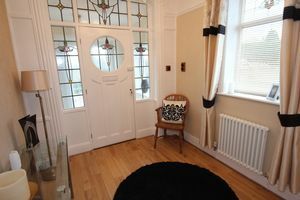 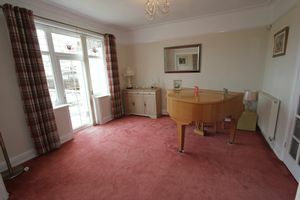 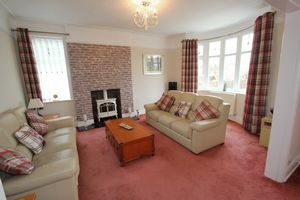 Coved ceiling, picture rail, Victorian style radiator, doors give access to cloakroom, lounge, dining area and bedroom. 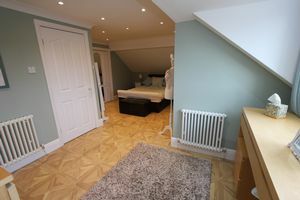 Stairs lead to first floor accommodation. 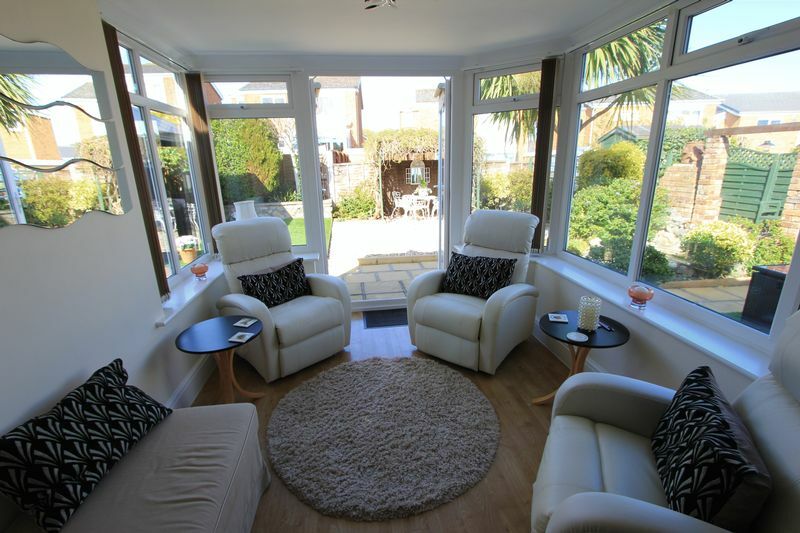 Morning Room Area 11’11” x 12’8” (3.63m x 3.86m) Upvc double glazed door tosun terrace, upvc double glazed windows to front aspect, coved ceiling, picture rail, central heating radiator, opening into lounge area. 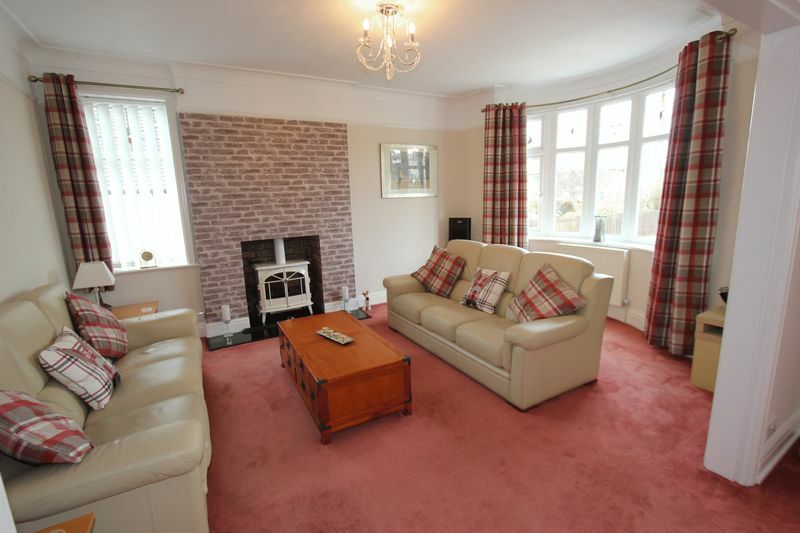 Lounge Area 16’5” x 12’0” (5.00m x 3.66m) Upvc double glazed bay window to front aspect, upvc double glazed window to side aspect, coved ceiling, picture rail, central heating radiator, inset fireplace with granite hearth, television point. 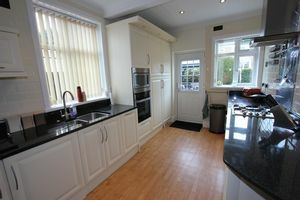 Composite door with glazed inset to rear garden, upvc double glazed window to rear aspect, upvc double glazed window to side aspect, inset lighting, range of wall and base units with granite work surface over, under set sink with mixer tap, integrated electric oven, integrated microwave, four ring gas hob with extractor fan overhead, integrated dishwasher, space for washing machine, space for american style fridge/freezer, breakfast bar, karndaen flooring. 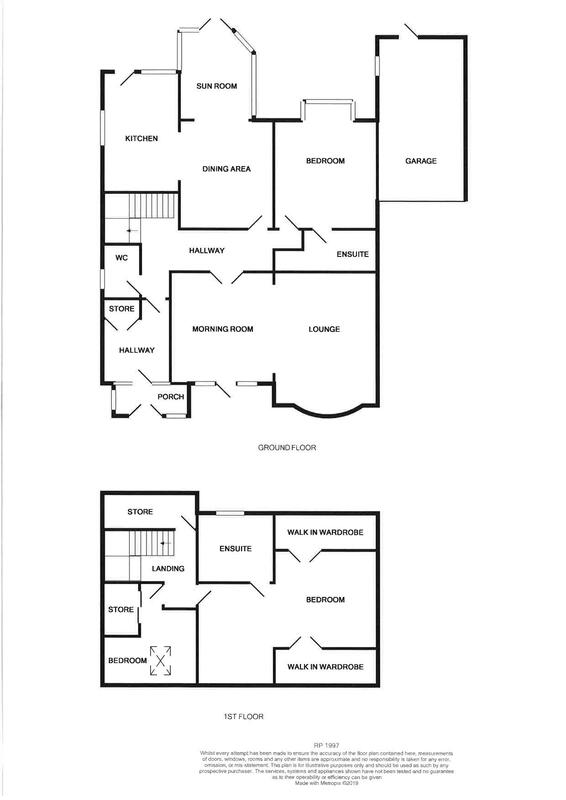 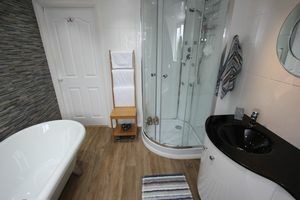 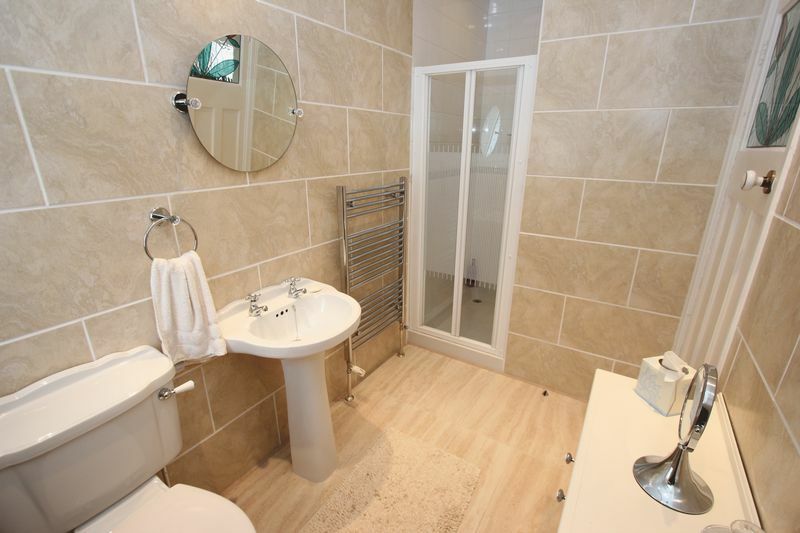 (Inclusive of shower) Upvc frosted double glazed window, inset lighting, central heating radiator, walk in shower, chrome style heated towel trail, low flush w.c, wash/hand basin, tiled walls. Stairs from hallway lead to first floor accommodation. 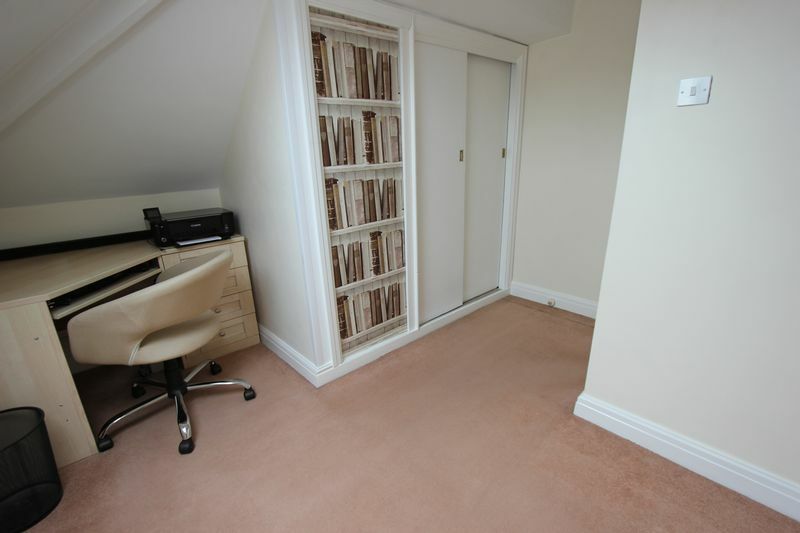 Access to loft space which is fully boarded and has a velux window, access to large walk in storage cupboard and access to two bedrooms. Up and over door, window to side, door giving access to rear garden, work bench and electric. 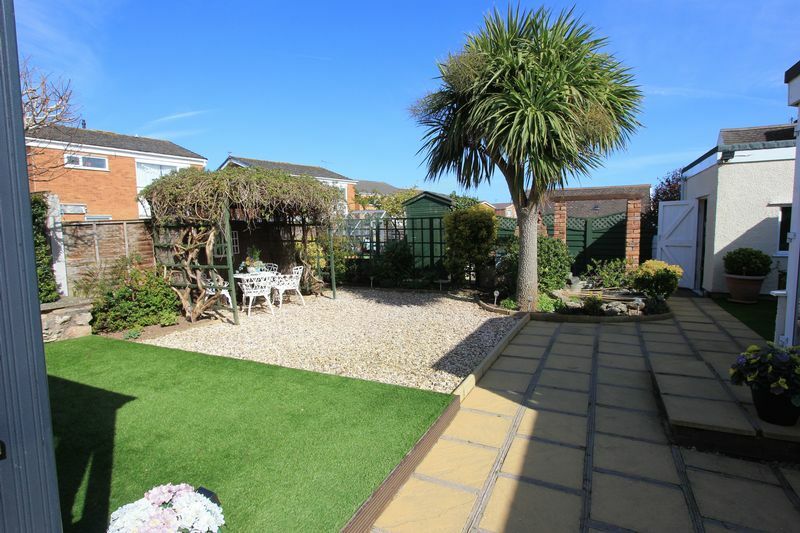 To the front of the property double timber gates give access to ample off road parking, laid to ornamental chipping, stone pathway, terraced area which is part paved, with lawn and stone balustrade, timber gate to side gives access to rear. The rear garden is landscaped with stone paving, artificial lawn and decorative stones, borders with a variety of well established plants and shrubs, ornamental pond, timber pergola and all creating lovely seating areas. 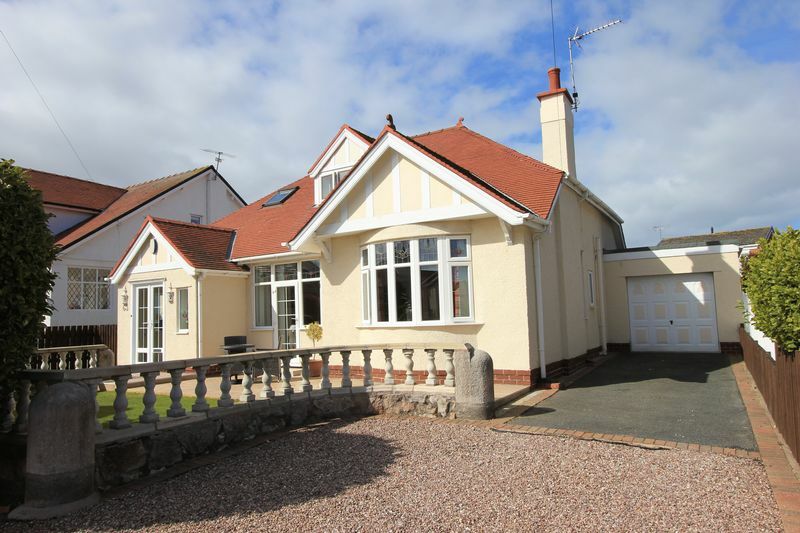 The property is conveniently located in Penrhyn Bay close to the local shops and other amenities, close to a bus route and the golf course. The Victorian resort of Llandudno is approximately three miles distance. 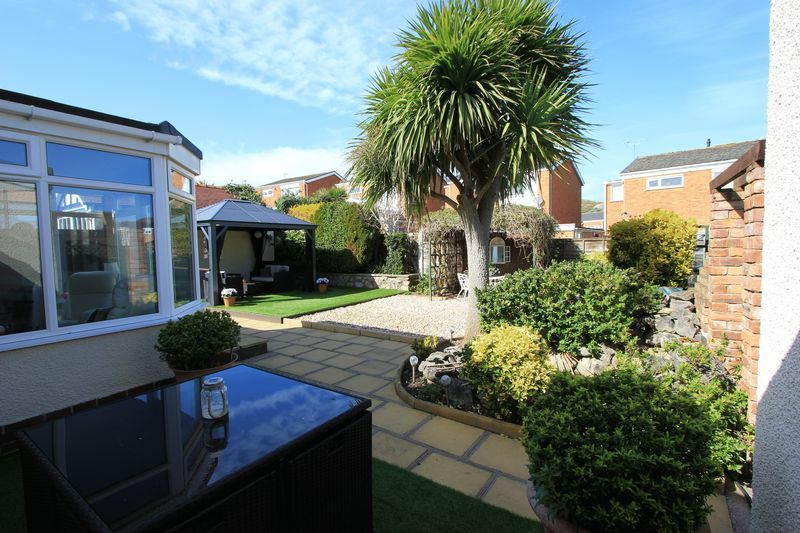 From our Rhos-on-Sea office turn towards the Promenade, turn left onto the Promenade, continue along pass the golf course onto Glan Y Mor Road and No 63 can be found on the right.